A gorgeous and graceful mandala design is stamped in your choice of three foil colors on these watercolor wedding invitations featuring your choice of background color. The overall look is soft and romantic with a bold statement of luminous design. 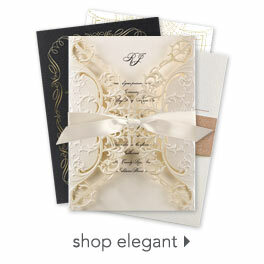 The back features a coordinating design and more room for event details like reception wording or lodging information.